Jess Barron is head of editorial at LIVESTRONG.COM.She has appeared on MSNBC's "The Most," ABC News Now, and XM satellite radio. Barron's writing has appeared on Wired.com, Yahoo! and Poprocks.com. We recently received a blog post titled "6 Reasons to Stop Worrying About GMOs and Learn to Love Them," written by Daniel Walton, a research assistant at the University of Illinois at Urbana-Champaign who studied plant breeding and genetics and worked to improve the yields of soybean varieties. We debated whether or not to publish it. Why? According to the U.S. Department of Agriculture, as of 2012, 93 percent of soy grown in the United States was genetically modified. As of October 2013, at least 26 countries -- including Australia, Austria, Bulgaria, China, India, Italy, France, Germany, Mexico, Russia and Switzerland -- had total or partial bans on GMOs. Whether or not to consume GMOs is an important question that faces everyone today who is concerned with healthy living. The editorial viewpoint of LIVESTRONG.COM is to avoid GMOs whenever possible and to support legislation requiring labeling of GMO food so that consumers can make their own informed decisions about what they are putting into their bodies. In a 2013 New York Times poll, 93 percent of respondents said that foods containing GMO ingredients should be identified, and 75 percent of Americans expressed concern about genetically modified organisms in their food. Our editorial decision is to present both viewpoints on this issue as well as both sides of the information, allowing our audience members to take in the information and decide where they stand. You, the reader, have the right to come to your own conclusions. Please be sure to leave your comments below to let us know your thoughts on this issue and whether or not you have changed your opinion after reading any of the information in either post. 1. The long-term safety of GMOs has not been proven. One of the biggest concerns about the prevalence of GMOs in the U.S. is whether they are safe for us to be eating. Currently, the health consequences of genetically modifying foods are largely unknown. No human clinical trials on the effects of consuming GM food have been published. According to the Environmental Working Group (EWG), "The [U.S.] government does not require that GE food be tested for carcinogenicity, for harm to fetuses or for risks over the long-term to animals or humans. Few such studies have been conducted by independent scientific institutions." The Non-GMO project mentions all the countries that have full or partial bans on GMOs, including all of the countries in the European Union. "Most developed nations do not consider GMOs to be safe," they write on their GMO Facts page. "In the U.S., the government has approved GMOs based on studies conducted by the same corporations that created them and profit from their sale." Over time, many types of GMOs may be found to be perfectly safe for human consumption, but this has not been proven. In "The False Promise of GMOs," Joe Pedretti, Farmer Relations Manager for Organic Valley wrote, "DNA and gene interaction is a poorly understood subject. While scientists can now isolate the effects of single genes or small groups of genes, there is little understanding of how they interact with each other. Some genes have secondary effects under certain conditions. Thus artificially inserted genes can have unintended--and undesirable--side effects." As an example, Pedretti mentions stem splitting in the Monsanto-created GM "Roundup Ready" soybeans. Apparently, the stems of these GM soybeans tend to split in hot conditions. According to Pedretti, "It is believed that this condition is a secondary effect of the inserted gene--perhaps the interruption of a DNA sequence that prevented the splitting." Pedretti concludes "This is a fledgling science, and mistakes will be made. Forecasting the implications of those mistakes is impossible given the limited understanding of what we are working with." 2. Genetic engineering (GE) is different from traditional crossbreeding. People who are in favor of GMOs (including Daniel Walton) will tell you that humans have been genetically modifying crops for generations. And we have via methods of crossbreeding to create new varities of plants or breeds of dogs! However, in genetic engineering, plants and animals are manipulated with gene-splicing techniques -- which creates entirely new types of plants or animals that cannot occur in nature or via traditional crossbreeding. This is an experimental technology that merges DNA from different species -- even combining animal genes and bacterial genes with plant genes. Consider, for example, the AquaBounty Technologies AquAdvantage salmon, which was bred with two extra genes: a growth hormone from the Chinook salmon and a genetic switch from ocean pout. As MSN News reported, "this modification allows the salmon to grow all year-round, not just in warm summer months." You may have heard this fish described as "frankenfish." AquaBounty Technologies has spent nearly $80 million vying for U.S. Food and Drug Administration approval so that the new fish can be sold in U.S. grocery stores without specific labeling. As reported in Alaska Journal of Commerce this month, more than 1.5 million people have written in opposition to FDA approval of this fish, and 65 supermarkets (including Safeway, Kroger, Whole Foods, Trader Joe's and Target) have pledged not to carry the fish. 3. Unintended GMO cross-contamination is a major issue for organic growers. Cross-contamination can come through the sharing of equipment like combines, elevators or trucks or through cross-pollination when two crops within the same species flower simultaneously in nearby fields and pollen is carried from one to another via wind, insects, machines or human activity. In May 2013, Roundup-resistant Monsanto GMO wheat was found in an Oregon farmer's field where no one had planted it. Wheat is a crop valued at $500 million to Oregon farmers. Since many countries have banned GMOs, they restrict imports of GM products. Japan and South Korea (two countries with GMO bans) banned Oregon wheat imports between May and July 2013 in the months after the GMO wheat was discovered. 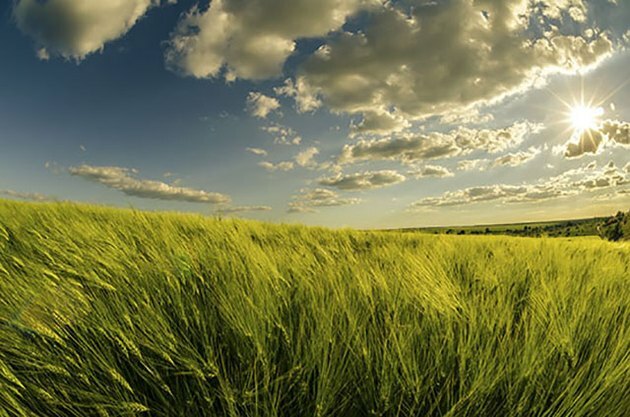 Thankfully for Oregon wheat farmers, Japan lifted its ban on August 1, according to Bloomberg, after it established a system to detect the genetically modified strain before shipment. This is just one case of how contamination can be potentially economically damaging to U.S. farmers. And this can happen with fish too. In May 2013, TakePart.com reported that Canadian scientists had published a study showing that genetically modified fast-growing Atlantic salmon were able to reproduce with wild brown trout, creating fast-growing hybrid offspring. It is troubling to consider what damage this could do to our already-dwindling wild fish stock. And let's also consider the risk to organic farmers. Organic food is one of the fastest-growing sectors in U.S. agriculture -- reaching $28 billion in 2012. To be labeled "organic," according to its website, the U.S. Department of Agriculture prohibits the use of genetic engineering or genetically modified organisms. In November 2012, the USDA had enough concern that they issued a report recommending that the U.S. government offer a special form of crop insurance to farmers concerned about GMO contamination. According to an estimate by the Union of Concerned Scientists, potential lost income for farmers growing organic corn may total $90 million annually. 4. GMOs have increased the use of toxic herbicides on our food. Herbicide-tolerant (HT) crops are genetically engineered to survive direct applications of herbicides. Glyphosate, or Roundup, is the herbicide applied to the vast majority of HT crops. The Organic Center reported in March 2011 that, "About 1.3 billion acres of HT and Bt crops have been grown between 1996 and 2008. HT crops account for 72 percent of total GE crop acreage." According to the Environmental Working Group (EWG), herbicide resistance has led to more, not less, herbicide use. They cite estimates published in 2012 by Charles M. Benbrook (research professor at the Center for Sustaining Agriculture and Natural Resources at Washington State University) showing that herbicide-tolerant crops caused farmers to use 527 million pounds more herbicide between 1996 and 2011 than would have been the case if those farmers had planted only non-GE crops. 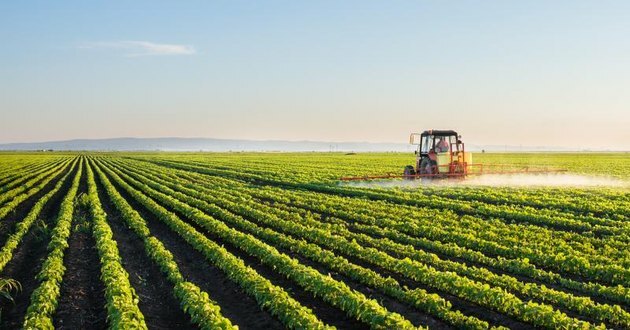 Creating pesticide-resistant crops would seem to imply that the foods we are eating are permeated with pesticides from the moment they begin growing from seeds. It makes you wonder how you could even "wash off" pesticides that are present so deep within the plant. 5. GMOs encourage creation of superweeds and possible superbugs. A May 2010 New York Times article said, "Just as the heavy use of antibiotics contributed to the rise of drug-resistant supergerms, American farmers' near-ubiquitous use of the weedkiller Roundup has led to the rapid growth of tenacious new superweeds." According to Farm Industry News, which cited a 2013 survey conducted by Stratus Agri-Marketing, more than 61 million acres of American farmland are infested with Roundup-resistant weeds, and nearly half of all American farmers reported finding superweeds in their fields in 2012, up from 34 percent of farmers in 2011. As the EWG reports, to control these hardy plants, many farmers have resorted to older, more-toxic herbicides like dicamba and 2,4-D. Both dicamba and 2,4-D are known to cause reproductive problems and birth defects and pose increased risks of cancer. 6. GMO crops are not ending world hunger. Reuters reported on a February 2014 report issued by the U.S. Department of Agriculture's Economic Research Service (ERS), citing the report's researchers as concluding "over the first 15 years of commercial use, GMO seeds have not been shown to definitively increase yield potentials, and 'in fact, the yields of herbicide-tolerant or insect-resistant seeds may be occasionally lower than the yields of conventional varieties.'" 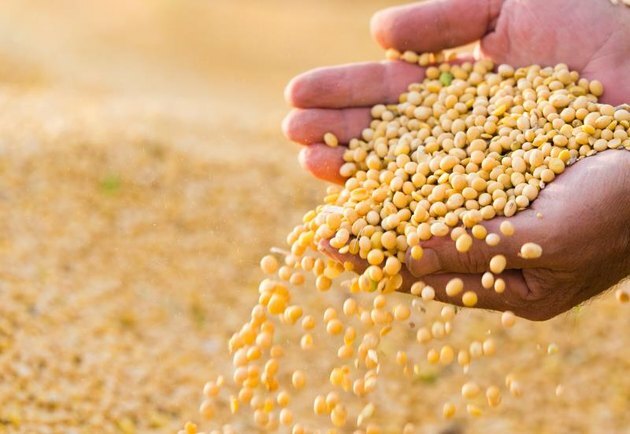 According to Reuters, "Several researchers found 'no significant differences' between the net returns to farmers who use GMO herbicide tolerant seeds and those who use non-GMO seeds." Furthermore, a September 2013 United Nations report from the UN Commission on Trade and Development (UNCTAD) titled "Trade and Environment Review 2013: Wake Up Before It's Too Late," which included contributions from more than 60 experts around the world, concluded that small-scale organic farming - and not use of GMOs - is the only way to feed the world. As Pedretti points out in "The False Promise of GMOs," there are "two main GMO crops being grown today--BT corn (repels corn boring insects) and Roundup Ready soybeans (withstands herbicide treatments)--are actually animal feed crops, not food crops. Impoverished nations consume little meat protein and will see little benefit from the adoption of these GMO crops. The third most commonly planted GMO crop is BT cotton -- not a crop intended to feed the starving." Biotech companies are raking in money selling GMO seeds (and the herbicides that go along with them), and they're telling people that GMOs will feed the world. We're not buying it. 1. Choose organic products whenever possible because they cannot contain synthetic pesticides or genetically engineered ingredients. Particularly important when you're buying soybeans or tofu, corn or sweet corn, papaya (75 percent of Hawaiian papaya is genetically engineered), zucchini and yellow summer squash. 2. If you cannot buy organic, look for foods that have been certified as "Non-GMO Project Verified." 3. Scrutinize the ingredients in packaged foods. According to the Whole Foods website, "Over 70 percent of packaged food products in North America contain GMOs," and "this is because the five most prevalent GMO crops of corn, canola, soy, cotton and sugar beets end up as additives in all kinds of packaged foods as corn syrup, oil, sugar, flavoring agents, thickeners and other additives." Read our piece on "8 Easy Food Swaps to Avoid GMOs in Your Pantry." What are your thoughts on GMOs? Do you eat GMO foods or do you avoid them? Did reading this piece get you to reconsider your viewpoint? Was there any new information that you had not yet heard? Leave a comment below and let us know. We want to hear what you think! Also, please be sure to read Danny Walton's piece, "6 Reasons to Stop Worrying About GMOs and Learn to Love Them." What Varieties of Potatoes Are GMO?